Confirmatory factor analyses (CFA) have shown that parent, teacher, and self-ratings in many societies form patterns corresponding to the syndromes derived from ratings mainly of U.S. children by U.S. raters (Ivanova, 2007a, b, c). Dedrick, Tan, and Marfo (2008) tested the CBCL/6-18 syndrome structure for 516 6- to 15-year-old girls born in China but adopted by Canadian and U.S. parents, who rated them on the CBCL/6-18. The parents who rated their children lived in various parts of Canada and 49 of the 50 U.S. states. This sample provided a particularly stringent test of the generalizability of the CBCL/6-18 syndromes for the following reasons: (a) The girls came from a very different gene pool than their parents; (b) many of the girls had lived for long periods in adverse environments that differed greatly from their adoptive homes; and (c) parents who had gone to great trouble and expense to adopt children from a very different country might view their children’s problems differently than birth parents do. Findings for adopted Chinese girls are also important because tens of thousands of Chinese girls are being adopted by North American parents. CFA revealed good fit between parents’ ratings of their adopted daughters and the CBCL/6-18 8-syndrome structure, with an RMSEA = .047. Additional CFA revealed good fit between the parents’ ratings and the second-order Internalizing and Externalizing groupings of syndromes, with the RMSEA also = .047. 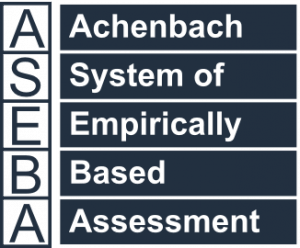 The authors concluded that their results “support Achenbach and Rescorla’s (2001) eight-factor correlated model and second-order structure consisting of Internalizing and Externalizing problems” (p. 74). References: Dedrick, R.F., Tan, T.X., & Marfo, K. (2008). Factor structure of the Child Behavior Checklist/6-18 in a sample of girls adopted from China. Psychological Assessment, 20, 70-75. Ivanova, M.I., et al. (2007a). Testing the 8-syndrome structure of the Child Behavior Checklist in 30 societies. Journal of Clinical Child and Adolescent Psychology, 36, 405-417. Ivanova, M.I., et al. (2007b). Testing the Teacher’s Report Form syndromes in 20 societies. School Psychology Review, 36, 468-483. Ivanova, M.I., et al. (2007c). The generalizability of the Youth Self-Report syndrome structure in 23 societies. Journal of Consulting and Clinical Psychology, 75, 729-738.